And it makes for a vibrant exhibition at WantedDesign Brooklyn. Where the slightest nuance can redefine our mood, color is the language with which we perceive our world. From May 17 through 21, WantedDesign Brooklyn presents “Couleur,” an exhibition curated by Odile Hainaut and Claire Pijoulat. “Our role as curators in the Oui Design program was to continue to bring creative French talents in New York and to initiate more transatlantic creative exchanges,” says Hainaut and Pijoulat. 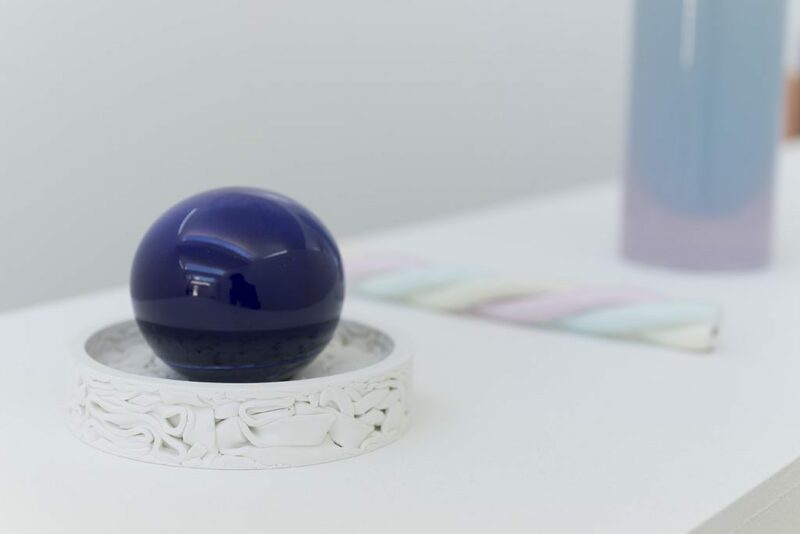 In doing so, the exhibit, designed by Eve Marine Basuyaux, celebrates the many pigments that shape our everyday lives with the vibrant and colorful works of three emerging French designers: Julie Richoz, Ionna Vautrin, and Pernelle Poyet. 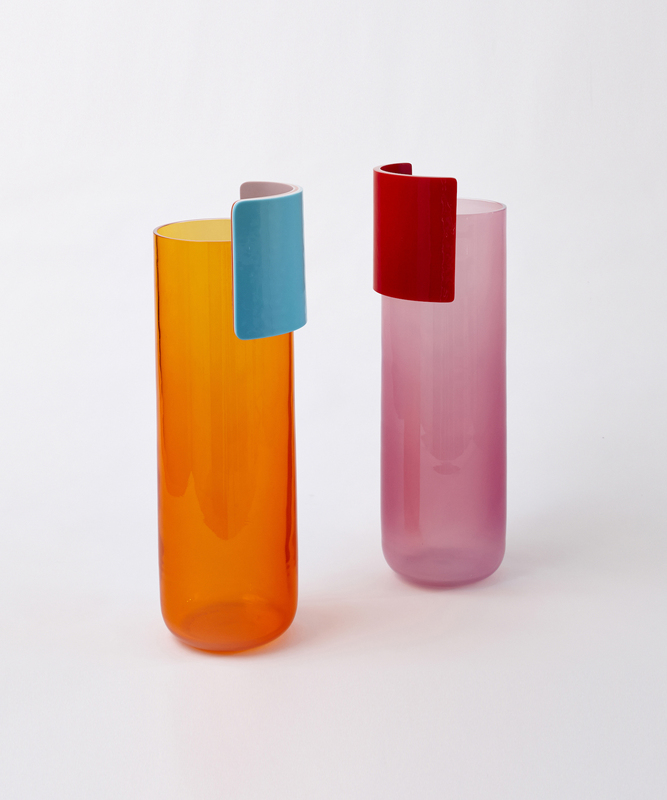 Having operated her own Paris studio since 2012 (the same year she was awarded the Grand Prix Design Parade) the French-Swiss designer completed a residency at the prestigious CIRVA, the International Center for Glass and Plastic Arts in Marseille where she produced a series of transparent vessels in pronounced blocks of color in various combinations. “I superimposed the glasses in layers to obtain deep and nuanced colors,” Richoz says. “I love the way the glass encloses and materializes the light: The light traveling through these layers then reflects the colors of the glasses, sharpens their edges, and highlights their contours.” Also on display will be Richoz’s recent projects for La Manufacture Cogolin, Alessi, and Louis Poulsen. For her 2016 graduate project, Alphabet, Pernelle Poyet took the aesthetic alphabet of the late, great Ettore Sottsass and created her own language, garnering herself the Grand Jury Prize and the Audience Prize of Villa Noailles’s prestigious Design Parade in Hyères, France. Shortly afterward, Villa Noailles led her to a residency in both Sevres Cité de la Céramique and CIRVA (International Research Center on Glass and Visual Arts). On view will be a series of “vase bouquets,” produced with CIRVA, created from glass vases, orbs, and blocks that play on gradients of colors. 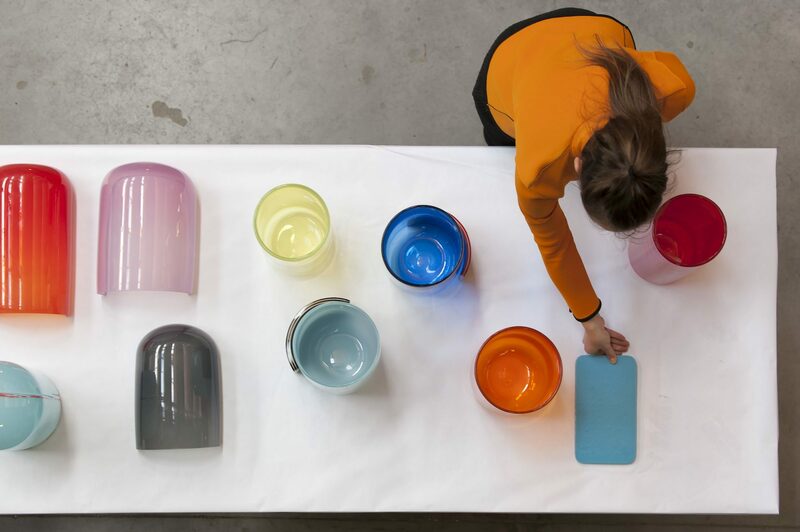 Ionna Vautrin worked for such greats as George J. Sowden and the Bouroullec brothers before opening her own Paris studio in 2010, shortly after winning the mayor’s Grand prix de la création. 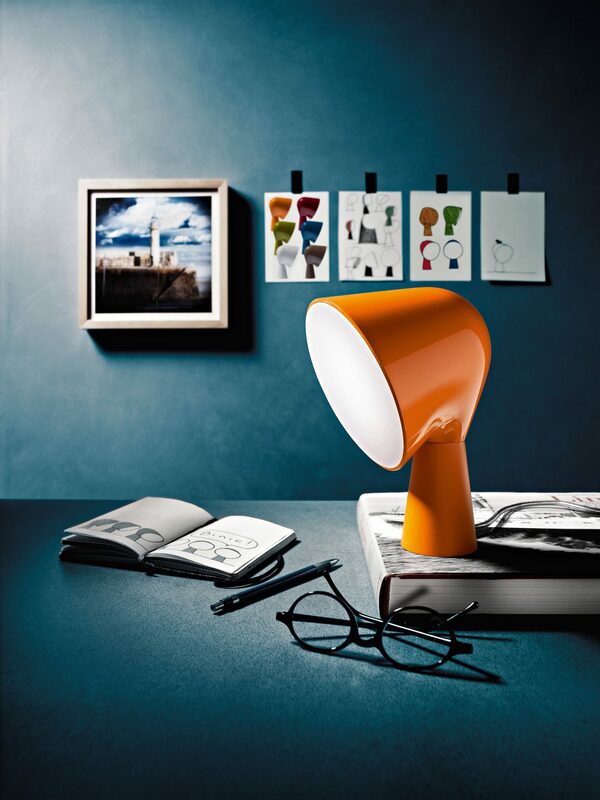 In Couleur, a selection of recent works includes Binic, a table lamp designed for Foscarini named for the lighthouse on the coast of Brittany. Composed simply of two intersecting conical shapes, its friendly demeanor exudes a joy amplified by its brilliant color options: white, pink, aquamarine, blue, yellow, and anthracite. Her pieces for Eno Studio, Sancal, Moustache, and Elements Optimal will also be shown. See the full Oui Design 2018 lineup here.